Tyrone Takami is a contributing Account Planner at AlixCompany. He’s been working directly with Alix for several months and is a unique thinker. We thought you might enjoy a few thoughts from Tyrone. This post shares more on listening, our ignorances, and how we can tap into (and out of) both for better briefs. My conversations with Christian Madsbjerg and Graham Hall about Sensemaking and all things analogue got me thinking about the importance of listening. To find truly valuable insights I’ve got to become a more receptive listener. Too often I catch myself thinking of possible responses to what folks are saying, rather than using that energy to listen more deeply to what’s being said in context to understand the underlying meaning of what has been shared. Listening for meaning is where we begin to observe, evaluate, assess, and empathize. This ‘Hey Lover’ song taps into the sort of empathy I’m talking about. This is a topic that is absolutely germane to the discussion of brand planning because we have to connect with people in a way that’s relevant. Lately, I’ve had my ear to the ground scouting techniques and methods to help guide my own big insight identification process. Of the many books on creative problem solving, one of my absolute favorites is a criminally unknown and underutilized text on problem solving. It’s not by a marketing or creative guru, but by a Brazilian Rabbi named Nilton Bonder entitled, Yiddishe Kop: Creative Problem Solving in Jewish Learning, Lore and Humor. The book is 114 pages of pithy, problem solving, Yeshiva genius. Be clear, and don’t be afraid to be ridiculously literal. It sets the stage for intuitive magic. What are we not talking about? What’s irrelevant? We live in a world of information overload. Everything can be relevantly associated with everything else. But in order to penetrate for meaningful insights-it’s imperative to close the door on the non-essential. What pieces of evidence comprise our text? In a way, we’re like ‘Data DJ’s’ – pulling together the choice cuts of information to convincingly narrate what’s important about what’s going on. Don’t just cite books – cite life! Places, activities and situations in culture and society are so important to get insights. Go out and see what real people are doing! What is the context the issue lives within? This includes any preconceived notions as well as social, cultural, and historical context. Every day is different – and no situation is exactly the same – those differences provide the leverage to create messages that are authentic and nuanced. One of the most important things Rabbi Bonder highlights is labeling ignorances – that is, in order to transcend our ignorance(s) we can reframe situations to unveil amazing options; to expediently navigate beyond our day-to-day assumptions and preconceptions about people, places, and things. What kind of generalizations about the issue might lead us astray? What do we think we know about the product/service/brand? What commonly held preconceptions and assumptions do we have; individually and/or collectively? What don’t we know and need to learn more about? Context: what assumptions might we have about the topic, especially if it is related to any hot-button issues in culture or society? I’m convinced that just by labeling ignorances and preconceived notions, great insights will come forward. That’s because much of what we do is about working with perception. How can we challenge perceptions and freshen them, redefine them, improve them? I’m finding my insights are better stated when I put time towards digging into these questions to start. It leaves me looking into issues with fresher eyes – because when the issue is free from what it is not – it becomes a whole new thing in itself. Give it a go and I’ll share an example of how I’ve used it recently in my next post here. Tyrone Takami has completed another great Dialogue in our ‘Hey Algorithms Meet Biorhythms’ series! The series was largely inspired by the book Sensemaking: The Power of the Humanities in the Age of the Algorithm. Today, Tyrone had the pleasure of speaking with the book’s author, Christian Madsbjerg. 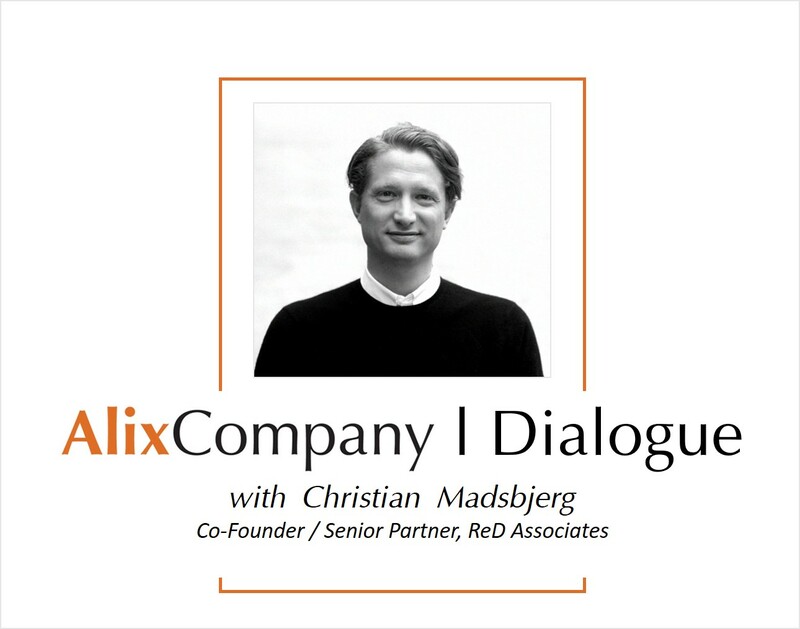 Christian is Co-founder and Senior Partner at ReD Associates, a strategic consultancy in New York City that helps clients see new business opportunities through the use of social sciences to study how and why people behave the way they do. This podcast has been produced by Fat Cat Productions – for all of your audio and video production needs reach out to Fat Cat Productions. We hope you enjoy the Dialogue! Thanks for listening. 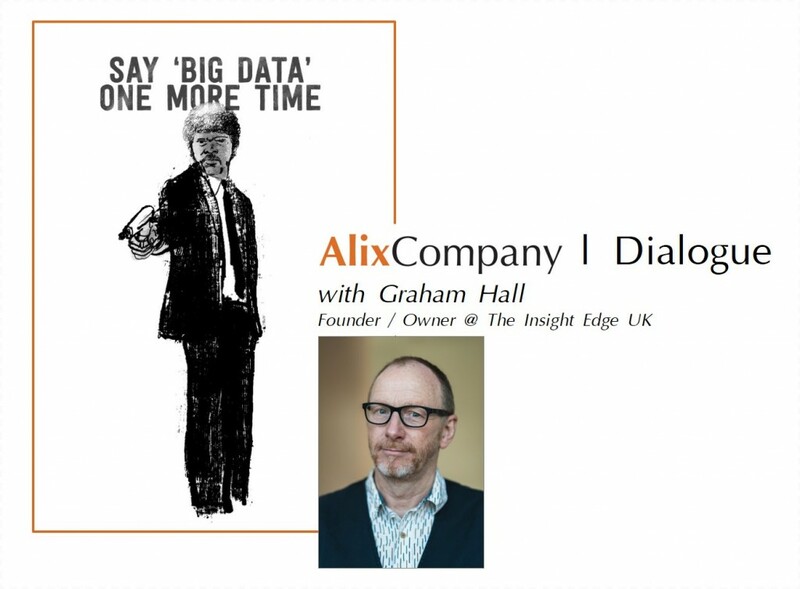 We’ve been exploring the disconnect between big data and deep insights and came upon Graham Hall‘s essay entitled, “Putting the Analogue Back into Insight” which is brilliant, like all of his writing really, because it gives a foundation and grounding on the subject. I want to invite you spend the next 30 minutes with Tyrone Takami, who’s a contributing planner at AlixCompany and who had the pleasure of speaking with Graham directly on the topic of putting the analogue back into insight. Please enjoy! Tyrone Takami is a contributing Account Planner at AlixCompany. He’s been working directly with Alix for several months and is a unique thinker. We thought you might enjoy a few thoughts from Tyrone. This post is the first of several. I love how the work of brand strategy relies so much on coming to an understanding of people through finding insights. I get such a kick out of discovering what people love, what they fight for- the beliefs, and values that drive behavior. As a deliverable, we call these things consumer insights – above all we’re here to help businesses grow. But at the end of the day, I still think much of the work we do with consumers boils down to the all too human act of getting to know someone well, and in ways that count. So, I cringe a little bit in my chair and shrink a few centimeters when we talk about Big Data. I know it’s vital, I know it’s here to stay, and I know it’s an ally in discovering those seismic shifting insights. I’ve also heard over and over how it single-handedly built Netflix’s smash-hit stateside remake of House of Cards. Ok, ok, yes, I do secretly harbor the fear that my job may too get replaced by The Robots. But, there’s been something else to it that I hadn’t been able to put my finger on until I started looking around for industry thinkers that are writing on the subject. As a brand planner, I’ve been loving Graham Hall’s essay “Putting the Analogue Back into Insight”. It’s a gem to me because of how Hall sticks up for the value of qualitative research and insight in our current branding age where Big Data is all the rage. What’s more, it speaks so much to a larger trend of a qualitative (qual) renewal-revival in commerce. Texture or creative ‘why’ fodder. You can’t probe with quant. You can’t ladder to understand the core motivation. Qual can fill in the blanks and provide the texture precisely where quant lags. Hall’s piece continues with this sort of goodness by pointing out an important flaw with marketing strategies that lean too hard on Big Data and quantitative measurement – superficiality; resting too much on numbers limits you to observations rather than insights; facts about what’s happened rather than actions for what’s next. When you just rely on quantitative data, you risk missing out on an understanding of the consumer that sparks comprehensive, coherent strategic plans that are focused, proactive, and timely. You miss the “brand” part of “brand planning”. As Ogilvy articulated it, “the intangible sum of a product’s attributes”. What do you think? How have you been helped or hindered with Big Data? Has qual ever revealed something vital that quant failed to detect? Behold — the latest and greatest strategist salary report!! ⭐ Thank you team Siftly! Had a great conversation yesterday with Dan Carlton, Founder of PlannerU.com. Dan and I discuss all things PlannerU – the who, what, and why. PlannerU is a great new resource that exists to expand and grow the skill set of Account Planners by making comprehensive education in brand planning a realistic possibility for more students and giving voice to fresh perspectives in strategic thinking. It’s set up as two types of curriculum with courses and tutorials each costing between $10 and $79. Check it out at www.PlannerU.com and take a listen to our recorded Dialogue by clicking on the link below.